Now in the 1930s, the Caribbean was for the most part under British rule. To the outside world, these lands were mysterious and captivating. So for filmmakers, the idea of placing the film’s setting in the Caribbean was quite appealing. 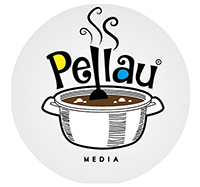 So Pellau Magazine became curious also. We wanted to know which films captured the essence of the 1930s Caribbean. Here’s what was found. Working as a recruit for John Grierson, Basil Wright partnered with the EMB Film Unit to produce a film (the first of a series of films) about the West Indies. Specifically, he was encouraged to capture the Imperial College of Tropical Agriculture in Trinidad, along with the Panamanian disease in bananas and Witchbroom disease in Cacao’. The motion picture was entitled ‘The Eyes of Science’. This Halperin Brothers film (Victor Halperin and Edward Halperin) follows Americans Neil Parker and his fiancee Madeline Short, to the Haitian plantation owned by Charles Beaumont. They were set to be wed there but encountered the white sorcerer-master of the Haitian sugar mill, an evil voodoo master Murder Legendre. The story follows the characters as they face an army of zombies sent by the voodoo master due to the lust of Madeline by Beaumont. The film depicts, voodoo( although it should not be the identity of Haiti), plantation and life in Haiti between the rich and the poor on the island. Using the scenery and ambiance of Haiti yet again, this 1936 flick is centered around a mixed-race Haitian plantation owner and the voodoo priestess Clelie Gordon (Yes voodoo again. Starting to see a trend here). The two were lovers, for two years, until neighboring white American Adam Maynard and his white, fiancée Eve Langley came into the frame. Within the plot of the story, the overseer of Adam’s plantation, LeStrange, who is mixed race, has fallen in love with Clelie. Clelie however, is obsessed with the American, and uses her voodoo powers to get her way, but little did she know what was around the corner. From Haiti, now on to Jamaica. The 1939 American film directed by Arthur H. Leonard, portrays the story of Sylvia Walton from Harlem, New York, who inherits a Jamaican banana plantation. On traveling to the island to manage it, her half-sister, Isabelle Walton who desired to own the estate expresses her dismay to the decision. With Isabelle having envy for her sister, she plots with Philip Ramsey (Jack Carter), the plantation supervisor, to induce Sylvia to call upon Isabelle. Sylvia is drugged and taken to the hill country, where the native cultists, led by their high priest, perform the Blood Dance as a preliminary on a burning altar. Since Sylvia arrival, there’s been no sign of her disinherited half-sister Isabelle (Nina Mae McKinney), who ran the plantation until their father’s death. But Sylvia, her two rival suitors, and her comic-relief servant Percy are disturbed by the constant, growing sound of drums.